The Geek Girls Guide | Come to the dork side … we have cookies. Dating on the Dork Side is now available nearly everywhere online. And it’s available via Overdrive and other library services as well. In the US, you can now download from Barnes and Noble, Kobo, Apple, GooglePlay, and of course, Amazon. For all territories and e-retailers, click here. So! Here’s some news! Dating on the Dork Side placed first in the International Digital Awards contest in the Young Adult novel category. Darcy and I couldn’t be more thrilled. Today’s the day! Dating on the Dork Side is in the wild! The book is available in print and in Kindle format. Don’t have a Kindle? No worries. Download one of the Kindle apps (for iOS, Android, PC). You can read it that way. Or read it in print. That works too. Additionally, Dating on the Dork Side is available as a Kindle Matchbook. If you buy the print version, you can get the Kindle version for free. Note: You must buy the print version first and from Amazon for this to work. Curious? Read a couple of early reviews here and here. 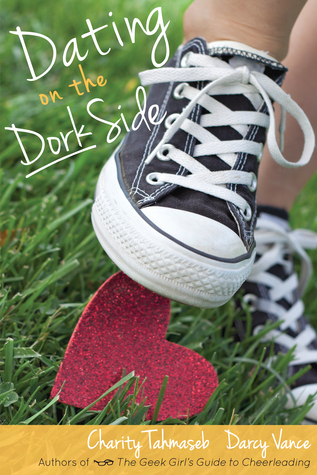 Hop on over to Goodreads to enter the giveaway for Dating on the Dork Side! Enter to win an autographed copy signed by both Charity and Darcy! Today is cover reveal day! Dating on the Dork Side will launch into the world on November 30th. In the meantime, add it to your shelf on Goodreads. Want an email when it’s available? Sign up for Charity’s mail list. We’re gearing up for the launch of Dating on the Dork Side at the end of the month. But first … a cover reveal, coming to a blog near you on 11/19/2015.